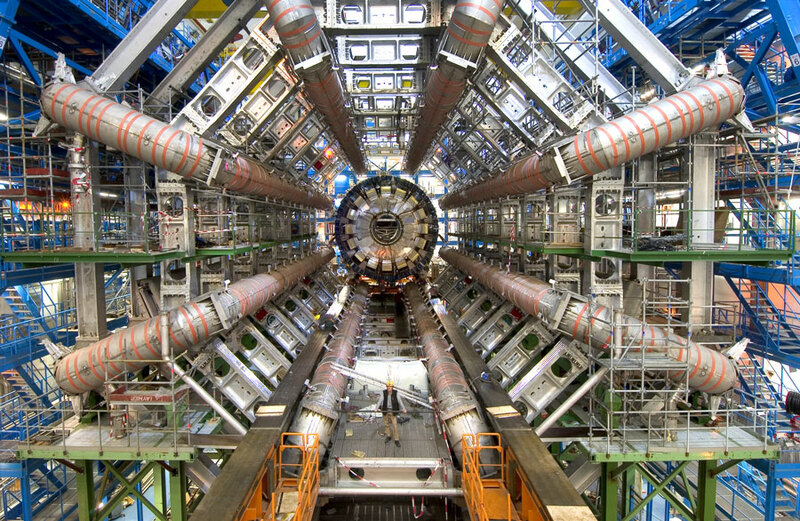 In another few months the Large Hadron Collider will be powered up to explore its maximum energy range. Many physicists fervently hope we will see definite signs of "new physics," especially a phenomenon called "supersymmetry." In the simplest view, the Standard Model souped-up with supersymmetry will offer a massive new partner particle for every known particle (electron, quark, neutrino, etc). One of these, called the neutralino, may even explain dark matter itself! Supersymmetry is the foundational cornerstone on which string theory rests. That's why physicists call this "stringy" theory of matter "superstring theory." If the LHC does not turn up any signs of supersymmetry during the next two or three years, not only will simple modifications to the current Standard Model be ruled out, but the most elegant forms of supersymmetry theory will fall too. As an astronomer I am not too worried. The verified Standard Model is now fully capable of accounting for everything we see in the universe since a trillion-trillion-trillionth of a second after the Big Bang to the present time, once you include gravity, and don't worry too much about dark matter and dark energy. But we need some explanation for dark energy and dark matter to complete our understanding of the cosmos, and for that we still need our physicist friends to show the way. Currently their only answers involve supersymmetry theory. If this idea falls, astronomers will be completely stumped to explain what governs our universe on the largest scales. Beyond supersymmetry, we also have the huge investment of talent that has pursued superstring theory since the early 1980s. Without supersymmetry, the "super" part of string theory also falls, and you end up with a non-super string theory that is clunky, inelegant and pretty dismal in accounting for the finer details of our physical world, often termed "quantum gravity." A big part of this is the idea that our universe inhabits more than four dimensions -- perhaps as many as 11! On April 26, 2006, I had the following exchanges with Stanford theoretical physicist Leonard Susskind, who is widely regarded as one of the fathers of string theory, along with other provocative and foundational ideas such as the "holographic universe." His comments are still relevant seven years later. Susskind: Almost all working high-energy theoretical physicists are convinced some sort of extra dimensions are needed to explain the complexity of elementary particles. That particles move in extra dimensions is another way of talking about the fact that they have more complex properties than just position and velocity. It is hard to find a serious paper about particle phenomenology that doesn't in some way use the tools of superstring theory. Furthermore, we all agree that the origin of elementary particles is most likely at the planck scale and cannot be understood without a good theory of quantum gravity. 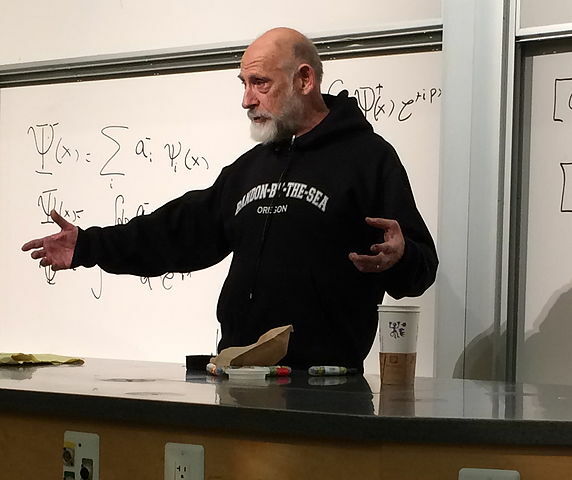 Susskind: I agree that going back to the '70s would be turning the clock back in the sense that we would be ignoring the vast amount of mathematical knowledge that has been gained over the subsequent years, mostly from string theory. That is just not going to happen. The changes in our theoretical understanding of quantum field theory, gravity, black holes, are completely irreversible. [String theory mathematics] has even worked its way into nuclear physics and heavy ion collisions as well as into condensed matter physics. Odenwald: Kind of a hard place for modern theoreticians to revisit, but for astronomy and cosmology the 1970s seem not such a bad place. Without superstring theory, we would still have cosmological inflation. Without superstring theory, what happened at the instant of the Big Bang would remain unknown, logically indescribable, and still a great puzzle... as it always has. Susskind: [Not quite.] Recent cosmology has been completely dominated by studying the cosmic microwave background [CMB] and inflationary theory. The CMB fluctuation spectrum is widely understood as a quantum effect. Inflation is a gravitational effect. Is there any question that quantum gravity (quantum plus gravity) will be the framework for understanding the early universe? No, there is not. Also I might add that the old inflation that you are referring to was a disaster. It didn't work. Many inflationary cosmologists like Linde, Vilenkin, and Guth are looking to string theory for possible answers to the puzzles of inflation. Odenwald: Is it fair to say that superstring theory is "too big to fail"? I am reminded of the alledged quotation by Einstein as he was awaiting news about a major test of relativity in 1919. A reporter is said to have asked, "Well, what would it mean if your theory is wrong?" to which Einstein allegedly replied, "Then I would feel sorry for the good Lord; the theory is correct!" Is the physics community in the same predicament because superstring theory is a "beautiful" theory that seems to explain so much, and its mathematics is so impeccable that it is used in other theoretical settings in physics? Susskind: Exactly right. However, it is fair to say that while theorists were developing powerful tools, they mostly had wrong expectations for what the theory was indicating. Most theorists hoped that string theory would lead to an absolutely unique set of particles, coupling constants, with exactly vanishing cosmological constant. What we have learned from the theory itself is that it is a theory of tremendous diversity. Unexpectedly, string theory is most comfortable with a huge multiverse of tremendous variety instead of the small "knowable" and unique universe we once imagined. Susskind: Without these things the world as we know it couldn't exist. Giving up quantum gravity means giving up either the ideas of quantum [mechanics] or of gravity [and general relativity]. In a cosmological context quantum gravity is responsible for the primordial density fluctuations [we directly observe in the CMB] that ultimately condensed to form stars, galaxies, planets, etc. Without string theory we should not have the diversity of possibilites that allow pocket universes [Alan Guth's term] with the ultra-fine tuning needed to insure conditions for our kind of life. Odenwald: If string theory loses its experimental support at the LHC, wouldn't it be far worse than merely going back to cosmology circa 1975 or even 1965? We would have to question the very mathematical tools we have been using for the last 50 years!